I’ve been a full time professional photographer for the past 10 years. During my career I’ve always used high-end, all-in-one desktop PC’s to edit my images. Late last year, I changed over to a new computer and started experiencing dramatic variation in the colour output of my prints. What I was seeing on screen wasn’t what I was achieving in my prints – they were filled with colour casts and over saturation. I print at a professional photo laboratory, so I knew the problem was at my end. It was costing me time and money to try to rectify the issue by editing blindly, hoping I would get the result I needed, and to constantly pay for reprints. It was a frustrating situation and the penny finally dropped. I needed a photography specific, colour calibrated monitor. I spoke to the owner of a local camera store (Saul Frank from Camera Electronic in Perth) and he came up with a solution – try a BenQ SW271 monitor with 99% Adobe RGB, 4K display and ultra high-density pixels. I took Saul’s advice, hooked up my new monitor in record time and, thankfully, can now rely on the accuracy of my prints. As photographers, we often invest in high-end cameras and fast lenses, but give little thought to our PC or laptop displays. I’m guilty of it! A generic monitor not specifically designed for photography isn’t going to deliver the colour quality we seek. Processing images on the BenQ SW271 gives the user a stunningly vivid colour range. It's also an affordable option for the budget conscious photographer, providing excellent value for money. Correct colour calibration isn’t only important for printing – it’s also necessary for viewing our images (and those of others) on screen, for processing images using editing software and for online image presentation. Or imagine you see a colour on the internet and want to paint your house in the same tone. You will need to make sure the colour representation on screen is accurate. If you aren’t using a specialist monitor, chances are you aren’t seeing everything in that’s actually in your image – the colours might be muted, and the tone and details may look muddy or disappear altogether. I want to see everything I’ve captured in each of my images. Every colour, hair follicle, and tiny detail. Only specialist equipment can help me achieve this. I’m not one to get bogged down in the technical side of things. I’m more of a practical reviewer and if I use something my priority is to assess whether it does what’s required, or not. But for those who like a little more info, here are the tech specs for the BenQ SW271. The SW271 comes in a large box and everything is neatly packed inside. Overall, I found the assembly and set up of the BenQ SW271 to be extremely easy. It comes with an instruction sheet and each element is carefully described. It took less than 5 minutes to put together the stand, hood and attach the monitor once it was out of the box. The monitor itself can be used in vertical or horizontal display and sits on a swivel mount for easy adjustment. It comes with a velvet-lined hood to out block light. The hotkey puck (also known as the “hockey puck” as that’s what it looks like) plugs into the rear of the monitor through a cable and sits in a circular cradle at the base of the stand ready for use. In next to no time my BenQ SW271 was set up. With out of the box calibration I was able to begin editing immediately. The SW271 offers an impressive display and the first thing I noticed after set up was its crispness. What a difference! I mostly use my computer for image editing and the colours were suddenly sharper, more vibrant and filled with detail. This was there all along but I hadn’t been able to see it before. It was a new world and made images on my PC screen look quite yellow by comparison. Everything had a polished feel to it, and it immediately took my work to the next level through instant improvement in colour enhancement and accuracy. Testing out the hotkey puck, which I wrongly assumed to initially be a bit of a novelty, was an effective and effortless way to switch between different output modes – Adobe RGB mode, sRGB mode and Black and White. The buttons on the hotkey puck can also be customised for other settings like brightness and contrast. This will really appeal to people who want to save time by creating an effective short cut through the hotkey puck. The 27-inch monitor of the SW271 looks sleek and professional and is impressive. It allows you to see the fine detail in your images. Reverting to a smaller screen would be hard! The ability to adjust the screen height and orientation gives the user great flexibility. Combined with the hood, it is easy to ensure directional light and glare are avoided on screen. With 99% Adobe RGB coverage I can rely on my monitor to show 99% of every possible colour on screen, which provides excellent image results. Even with the naked eye, I can see an added vibrancy within the colour gamut of my photographs. I spend 70% of my working day sitting in front of my monitor and to be honest, I was shocked to see how different my images looked after using the SW271. Every image I produce is now edited on the SW271 and I’m glad I’ve realised how important it is to my imaging workflow. In photography, colour accuracy is everything. 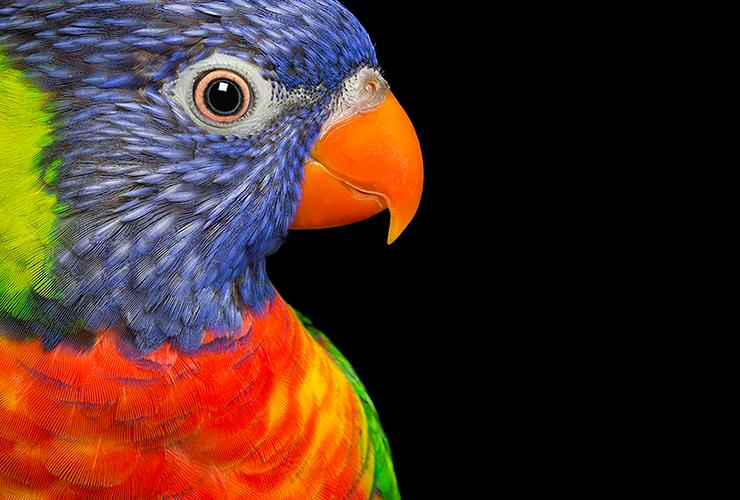 Whether you are printing portraits for clients, or artwork for your home, prints need to showcase the best colour detail available using the widest spectrum possible. With the BenQ SW271 monitor the colour accuracy of your images will be consistently and reliably maintained, reproducing images with a superior feel and giving you peace of mind. From hobbyist to professional, this monitor will make a difference to image output. It is the right solution and at $1599 is highly affordable for photographers of all levels, providing exceptional value for money. 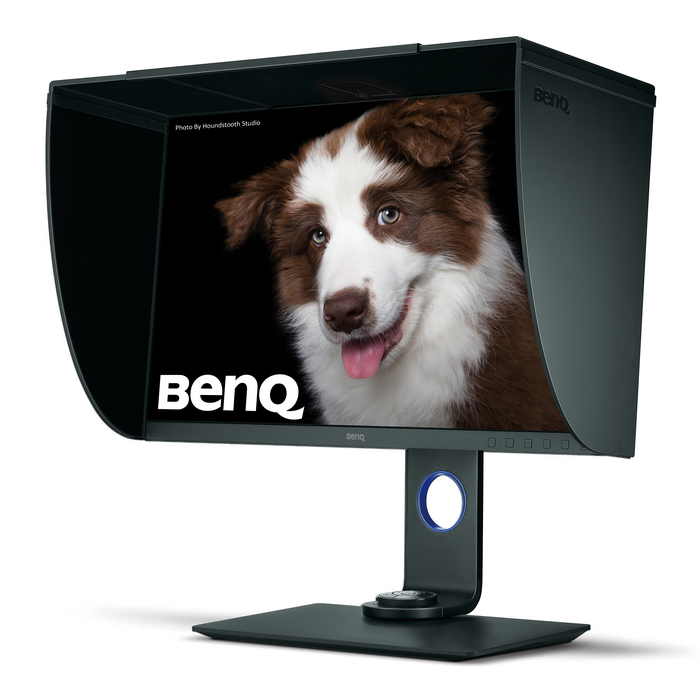 The BenQ SW271 is available now at selected Specialised Resellers. Please contact, Camera Electronic or Image Science to find out more. Alex is the Creative Director of Houndstooth Studio and specialises in capturing portraits that convey the intrinsic character of her animal subjects. When it comes to her photography, she is passionate, compassionate, fun, caring and committed. It would be apt to describe her as a “crazy dog lady”. Alex photographs for engaged pet lovers, corporate brands in Australia, the US and the UK, and for about 40 Australian and International animal charities and conservation organisations. Her images have been published extensively across Australian and International media, in books, magazines and ad campaigns. Alex is the recipient of more than 250 awards for photography, business and philanthropy. Inspiring others with her joy of working with animals, Alex’s philanthropy and passionate advocacy for animal rescue has earned her high regard among Australia’s animal lovers and a strong following on social media. She is an ambassador for Tamron, Spider Holster, BenQ and Seagate and is considered an influencer in the photography, business and pet industry communities. Visit her site to see some of her amazing work.